Originally from South America, Hippeastrum bulbs are not difficult to grow in the UK given a little care. Due to the vagaries of our climate Hippeastrum are best grown in pots in the UK. 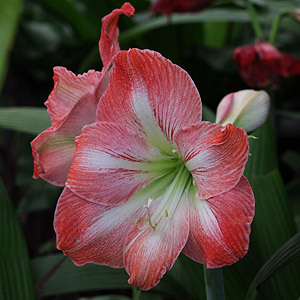 Also known as Amaryllis and being a winter flowering bulb are a great plant for Christmas color. One of the main aspects of Hippeastrum care is not to water in winter. They also require a well lit position. Hippeastrum are divided into five types depending on flower shape : single, double, trumpet, miniature and cybister. Hippeastrum Papilio and Hippeastrum 'Mrs. Garfield' are popular. In the UK these bulbs are grown as indoor plants and with spectacular flowers late in winter Hippeastrum make a great display. Hippeastrum are a bulb that grow with a restricted root space, so try them in in a pot that is not that much larger than the bulb. Leave the neck of the hippeastrum bulb well above the surface. Hippeastrum prefer a temperature of around 22¬?C and a well drained potting mix and then a cooler position once flowering has commenced will help prolong flower life. Hippeastrum can be fertilized after flowering as the foliage begins to appear. Spent flower heads should be removed. 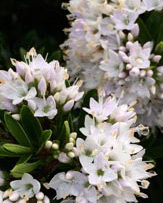 After flowering these bulbs can be given some time outside, during warmer months. Part shade is best to start with and full sun after they have acclimatized to outdoor life. Remember to bring bulbs indoors before the first rains and frosts. Do not water or fertilize hippeastrum bulbs during dormancy (Autumn - Mid Winter). Hippeastrum papilio is perhaps the best of the species, however many hybrids are well worth a place in the home. 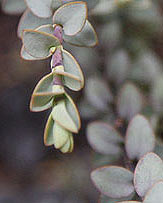 Easy by division of offsets when plants are dormant. Propagation from seed is best with fresh seed, sown immediately. From seed plants may take 5 - 7 years to flower. Seeds need to kept in a warm position until the germinate. Once seedlings reach a good size separate into individual pots. Young plants should be protected from the cold. 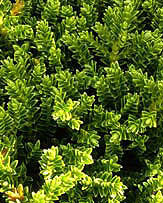 Usually caused watering problems, to little water during summer, or to much water in winter. Also caused by to much shade. 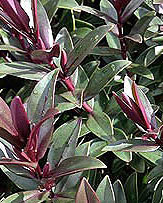 Lack of fertiliser the previous spring, often indicated by poor foliage growth.